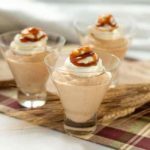 A rich and creamy no-bake dessert mousse, made with canned pumpkin, Greek yogurt, and sweetened with maple syrup. 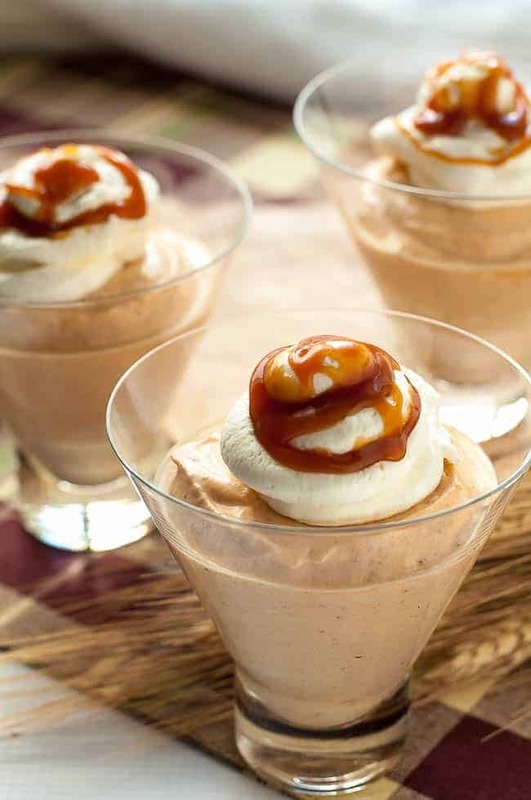 Top with whipped cream and caramel sauce for a special fall dessert. There was a nip in the air on my early morning walk today that told me it’s time for all things fall! 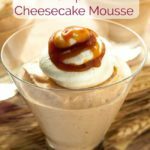 This Greek Yogurt Pumpkin Cheesecake Mousse is not a typical dessert in our home, but sometimes a special dessert is warranted. And what better way to celebrate the beginning of fall than with pumpkin! 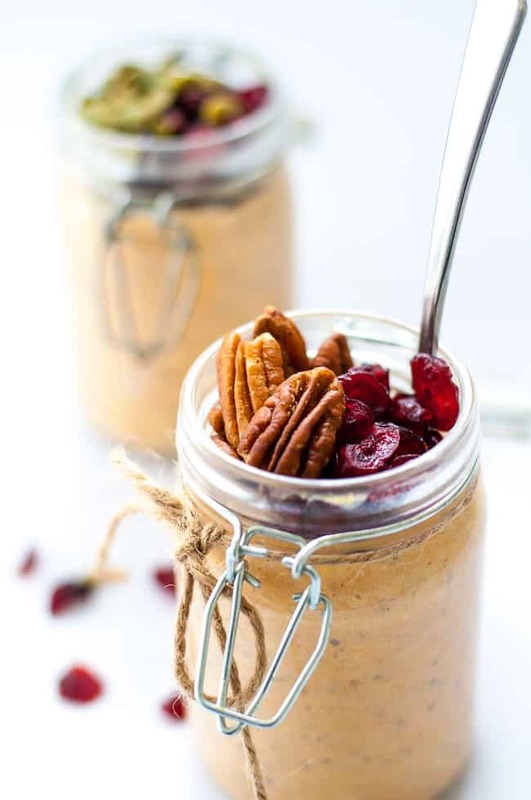 While this pumpkin cheesecake mousse is not low in calories, it’s low in effort. It’s an easy no-bake, whip-it-up dessert that can be made well ahead of time if you’re having friends over. It’s creamy, fluffy and just lightly flavoured with pumpkin. I’m not a fan of pumpkin pie, so this pumpkin dessert is a perfect alternative for me. And being gluten-free makes it even more appealing! 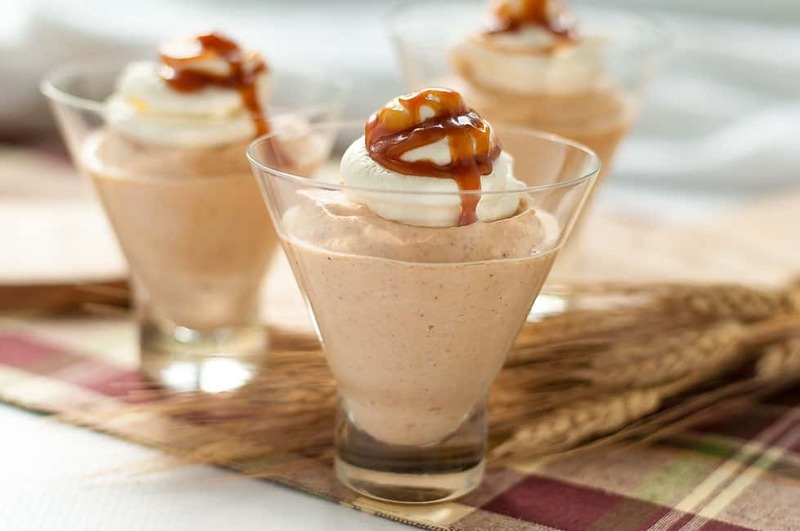 This gluten-free, dairy-free Pumpkin Cheesecake Mousse is easy to make! 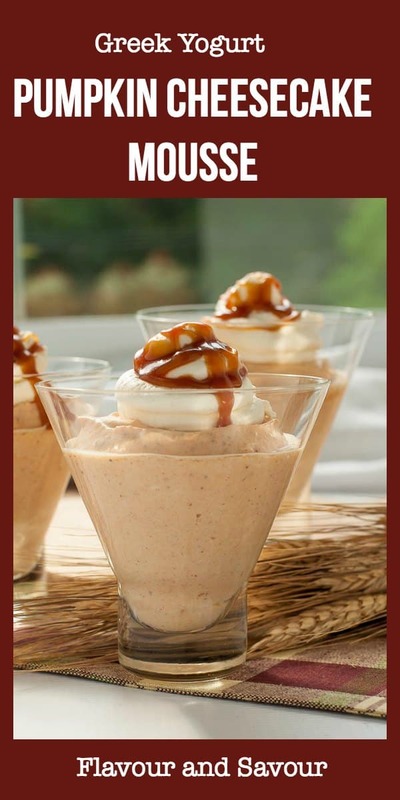 Just whip ingredients together, whip the cream separately, fold the two together and spoon into dessert glasses. 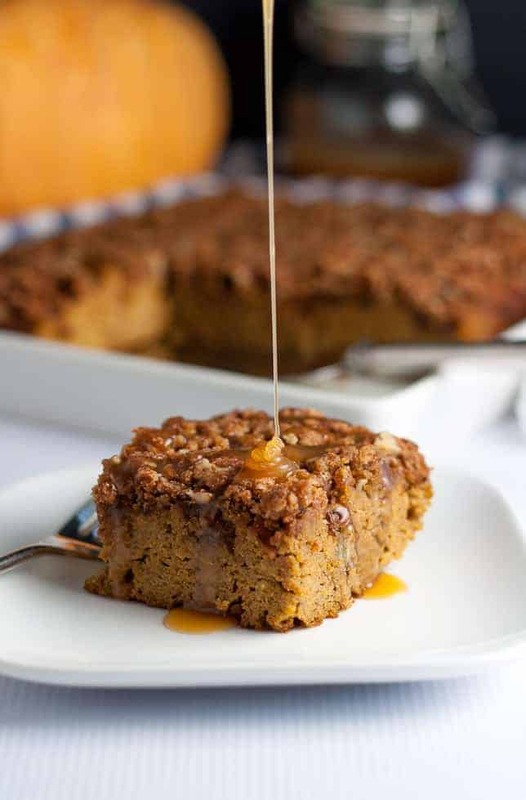 Just before serving, add a dollop of whipped cream and a drizzle of homemade caramel sauce, or just crumble some gluten-free ginger snap crumbs on top. So good! While it’s a little sad to see the days getting shorter, petunia baskets fading, and the leaves beginning to turn, apples, hearty soups, chili, and oven-roasted dinners are on my mind now! Cheers! Here’s to Fall! 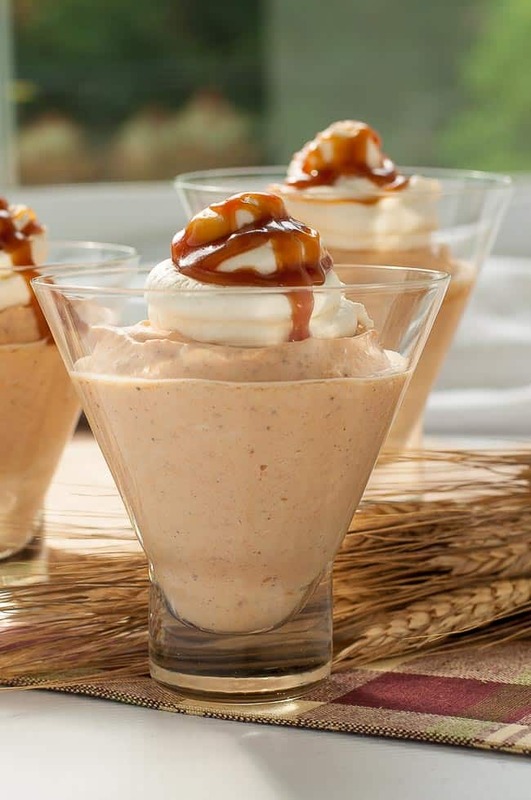 A rich and creamy no-bake mousse, made with canned pumpkin, Greek yogurt, and sweetened with maple syrup. 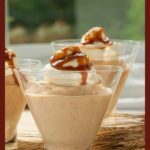 Top with caramel sauce for a special fall dessert. Cut cream cheese into cubes, then add to a mixing bowl or the bowl of a stand mixer. Beat until smooth. Add maple syrup, spices, pumpkin and Greek yogurt and continue beating until well blended and no lumps remain. In a separate bowl with clean beaters, beat whipping cream until stiff peaks form. 1 1/2 cups of whipping cream will yield up to 3 cups of whipped cream. Set aside 1 cup for garnishing finished desserts. Fold the remaining 2 cups into the pumpkin mixture. Divide among 8 dessert dishes. Chill until set. 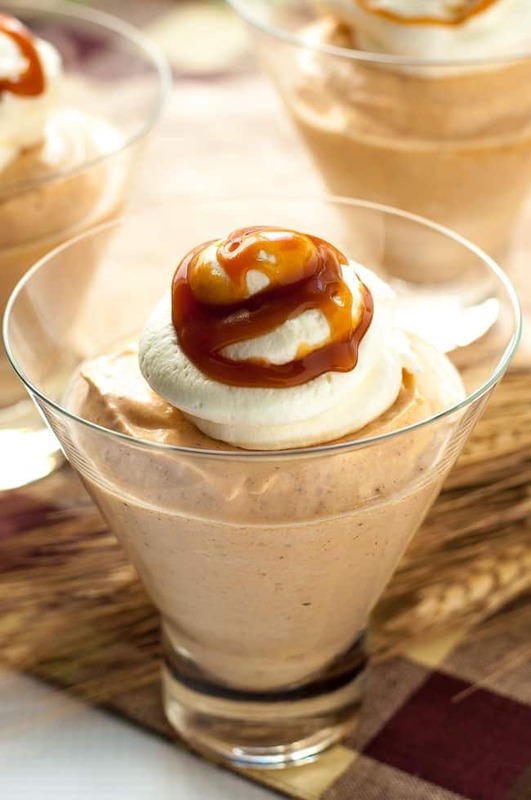 Just before serving, add a dollop of whipped cream and a drizzle of caramel sauce, if desired. Nutrition information does not include optional caramel sauce. Wondering what to make with that little bit of leftover pumpkin? This is perfect for entertaining, much more elegant than a pie, I can not wait to try this! And so much easier, too! Woah, these look super light and tasty! I gotta make this for breakfast one day! I am a pumpkin fanatic….and love greek yogurt. This is a quick and totally delicious that can be enjoyed LOTS during this fall season. Yes–especially since it’s so easy to whip up and can be made ahead of time!